The Guillami String Quartet formed in 1998 and were finalists in the 2002 Royal Overseas League Competition. . 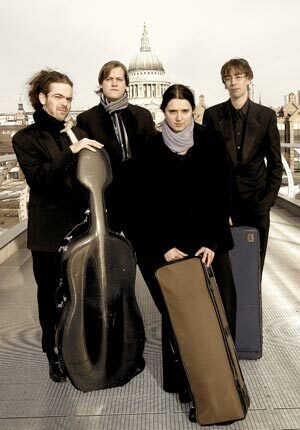 In 2004 the quartet gave the closing recital of the series for the Oxford Chamber Music Society performing in the Holywell Music Room and in 2005 performed a series of Beethoven String Quartet events at the Purcell Room, London. They have held residencies with both the Ludlow Festival (giving 18 recitals to date) and Eastbourne Arts Centre. The Guillami has also featured in Festivals and venues across the UK and is a great favourite with Chamber Music Societies. Their debut CD features works by Mozart, Walton and Shostakovich. © Copyright 2019 Select Performers & Guillami Quartet. Web Design & Hosting by Select Performers. Photos by Steph Dray.